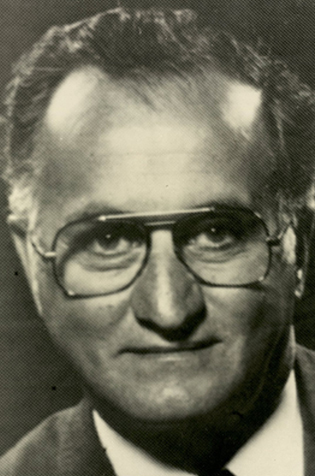 Johnny Esaw was best known as a Canadian Football League broadcaster. His talents have for over 35 years, touched all sports – producer, promoter, administrator, and salesman. Esaw began his career in Regina, Saskatchewan in 1949 and broadcast his first Grey Cup Game in 1951. A stint in Winnipeg was followed by a move to Toronto in 1960. As Vice President of Sports at CTV, Esaw stepped away from the microphone, but not from the game. Esaw is the recipient of many awards and was the Football Reporters of Canada president in 1969. Johnny Esaw was inducted into the Football Reporters of Canada wing of the Canadian Football Hall of Fame and Museum in 1984.